Crown Princess Mette-Marit of Norway finished her journey with the subject of "Literature Train 2018" and arrived in Oslo. On the last day of Literature Train 2018 program, Crown Princess Mette-Marit visited Stavanger Culture House and Library on June 8, 2018. 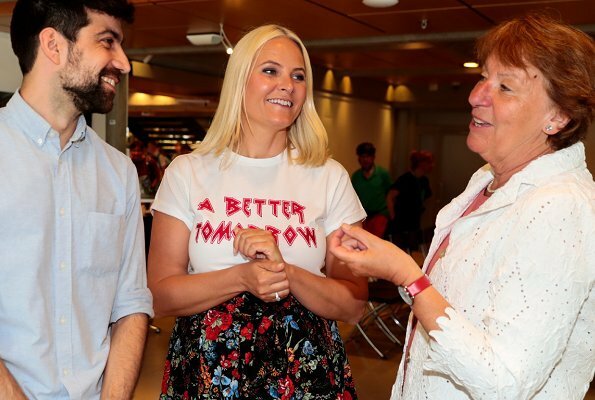 The Crown Princess introduces a literary talk between authors Author Zeshan Shakar and the Mayor of Oslo, Ms Marianne Borgen about book themes and hints, and the attendees and audience shared these talks on social media. OMG! is there no stylist on the payroll? seriously? 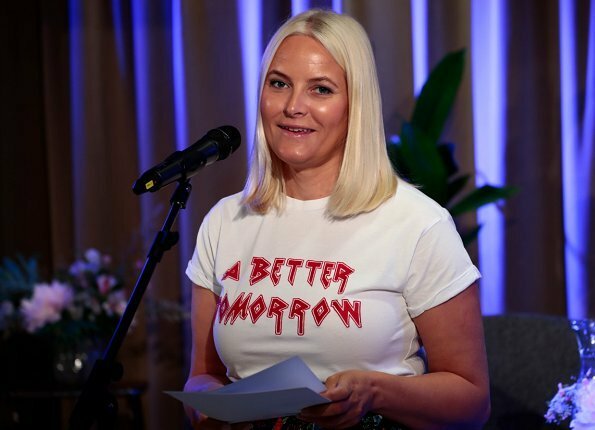 Oh Mette Marit - one day her outfit ist georgeous and the next day sorry for that, a desaster. The skirt with flowerdesign is nice, but it doesn't suit her and together with this statement shirt - OMG. Seems she has no waistline (pic 4). She can do so much better, we all know it. She has a winning smile and a heart of gold but she often hasn't the right touch for her clothes. Not better tomorrow but worst today ! Omg, I can not believe this, even if you try to be polite, there are not words to describe this style! Does she have no mirrors? I so wish she would do better, such a nice smile and hair is pretty and healthy looking. But clothing choices have not been good lately, too bad. The pattern of the skirt is nice,but this is not for her.This outfit today makes her bigger then she really is. 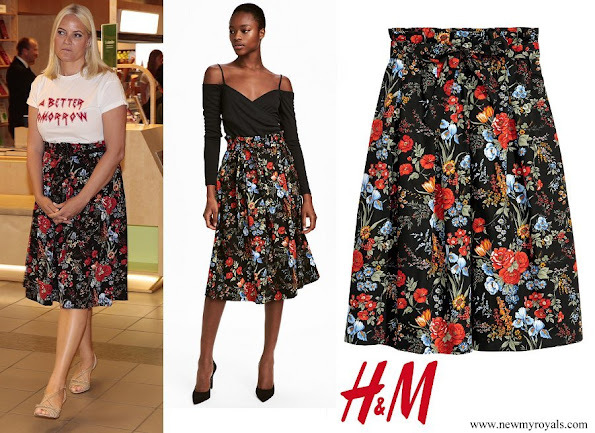 The person who sold her this skirt should have refused to sell it to her, princess or not. But I think she orders online and does not seek any advice. There is no other explanation for this. I have only one advice for Mette Marit ; get rid of your stylist !! !